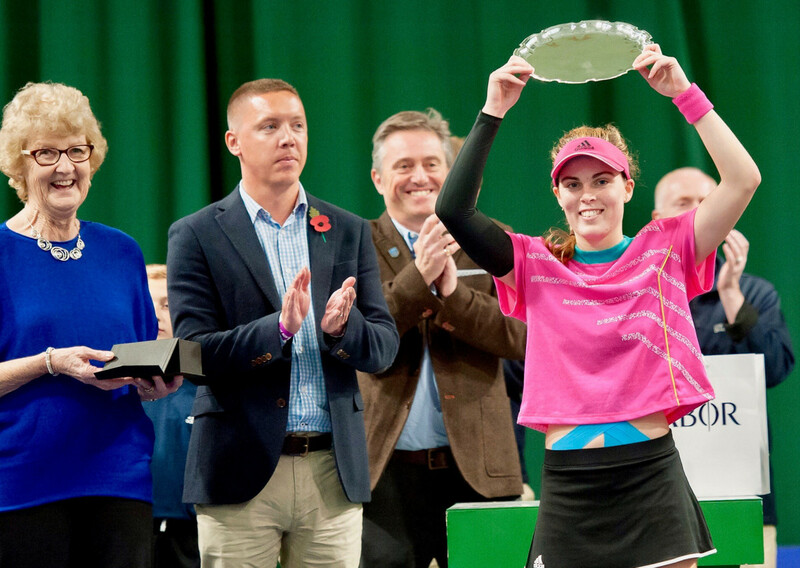 That impressive triumph helped the Scot climb to a career high of just outside the top 300 in the world rankings as she targets more success on the Sundorne Road venue’s indoor courts. British No. 9 Lumsden knows the competition will be much tougher in next week’s prestigious $60,000 International Tennis Federation event, which will include evening matches alongside a busy daytime schedule. Three of the five members of the Great Britain team competing in the Fed Cup this week – Katie Boulter, Heather Watson and Katie Swan – are all set to take part in Shrewsbury. “It’s a more high-profile tournament this time and the entry list looks very strong with many of the leading British players taking part along with a lot of players who have been in and around the world’s top 100 for a long time. Dave Courteen, managing director at The Shrewsbury Club, said: “We are proud to have been selected to host what is, outside of the Fed Cup and the grass court season, the biggest women’s tennis event in the UK this year. “The VIP lunch ahead of the two finals being played is already sold out, but tickets are still available for spectators to come along and watch both the singles and doubles finals. “A limited number of tickets also remain available for the other hospitality events which will be held in a heated marquee before guests move into the club to enjoy the tennis. “A special love tennis evening will be held on Valentine’s Day, Thursday, February 14, from 6-10pm, which will include a welcome drink, food, live music and stadium seats for the pick of the evening quarter-final ties.